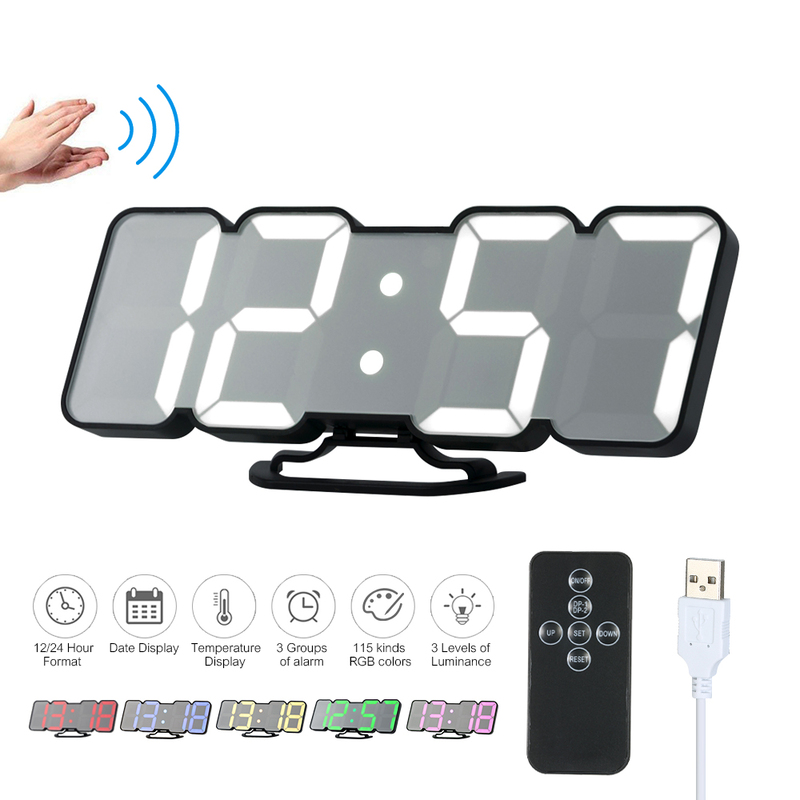 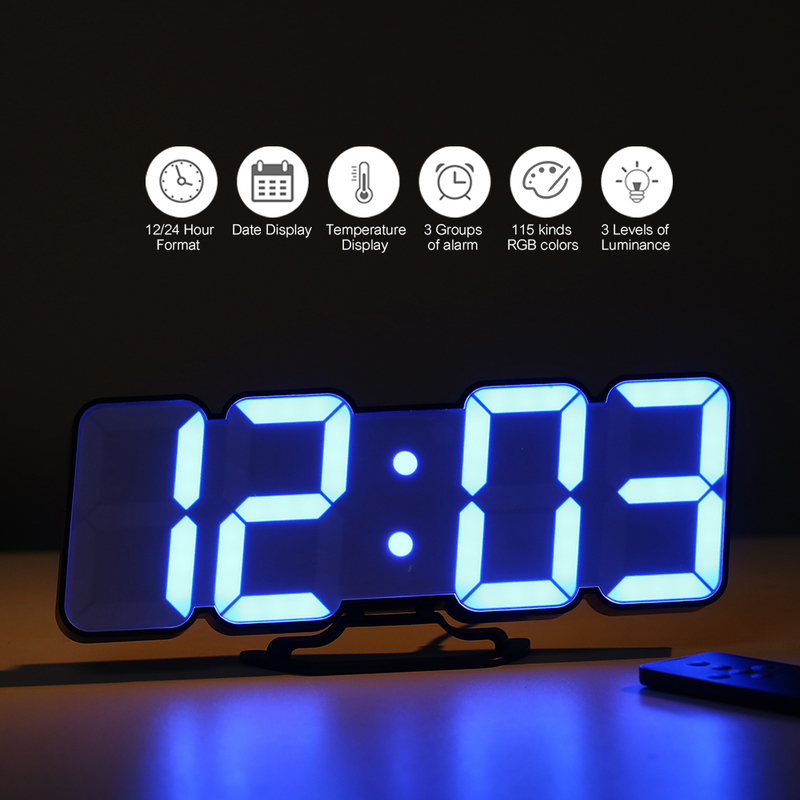 This 3D LED alarm clock, which has 115 kinds of changing RGB colors and adjustable 3-level brightness, always provides appropriate brightness for clear and comfortable view! 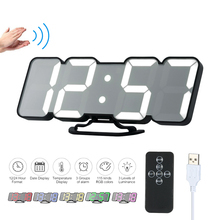 It has alarm and sound control function, besides, it comes with a remote control to do all settings easily! RGB LED Display: built-in 115 kinds of RGB colors, big font and bright color provide clear and comfortable view. 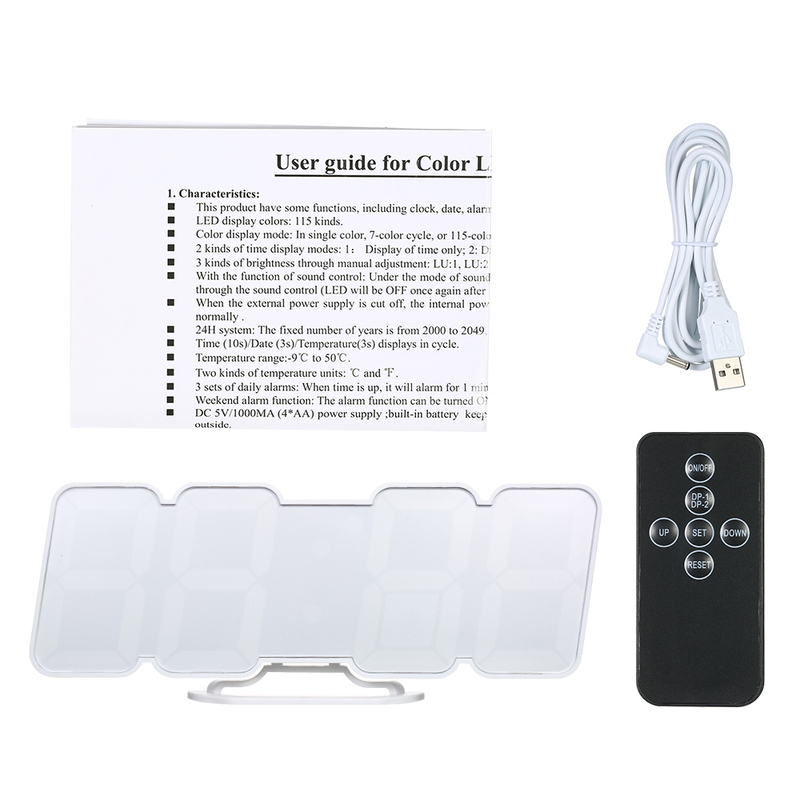 3 Color Display Modes: single color / 7-color cycle / 115-color cycle. 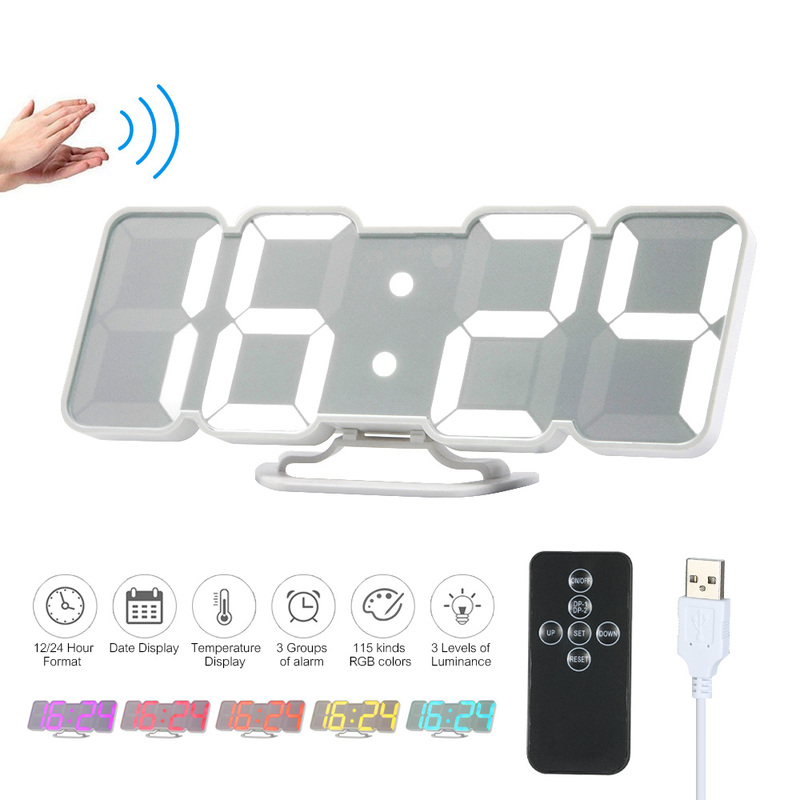 2 Display Modes: display time only or display time(12H/24H), date and temperature(°C/°F) in cycle. 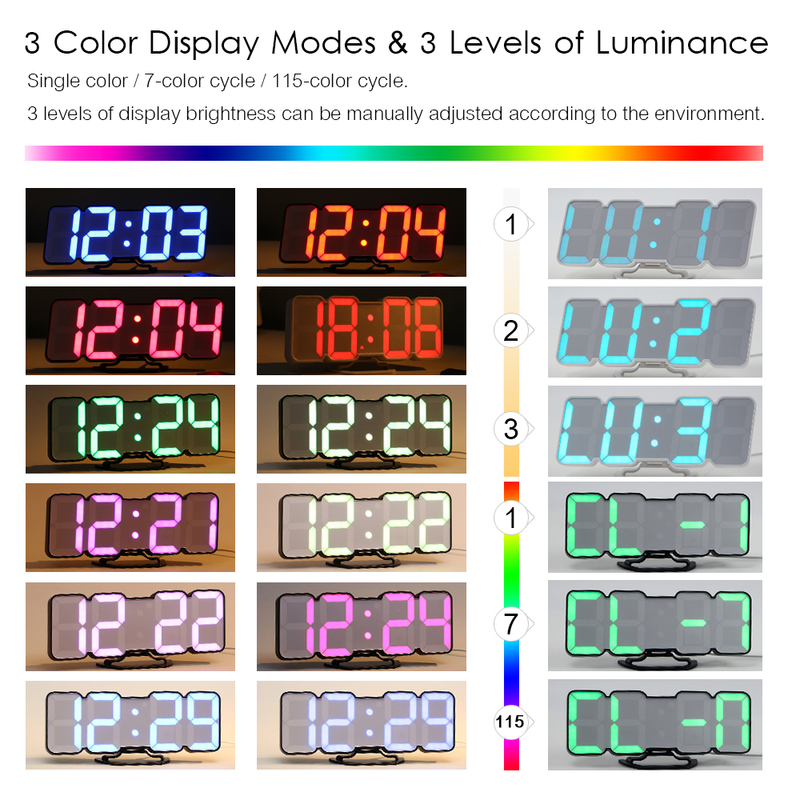 3 Levels of Luminance: 3 levels of display brightness can be manually adjusted according to the environment. 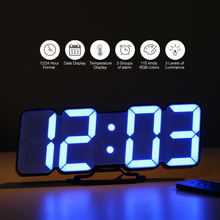 3 Sets of Daily Alarms: 3 sets of alarms for your setting. 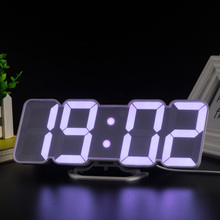 When the time is up, it will alarm for 1 minute. 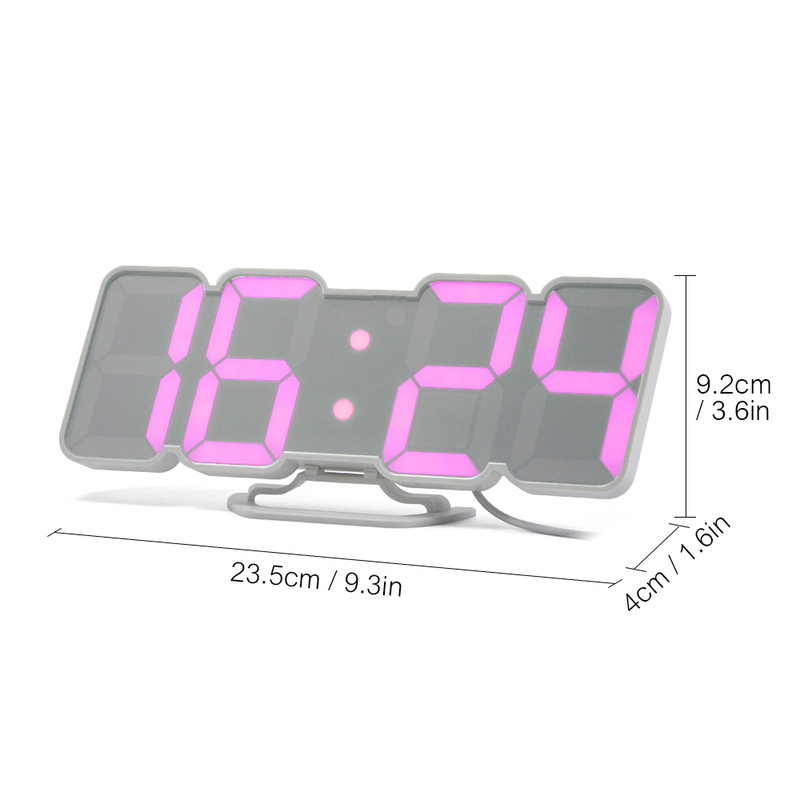 Weekend Alarm Function: the alarm function can be turned ON/OFF on Saturday and Sunday. 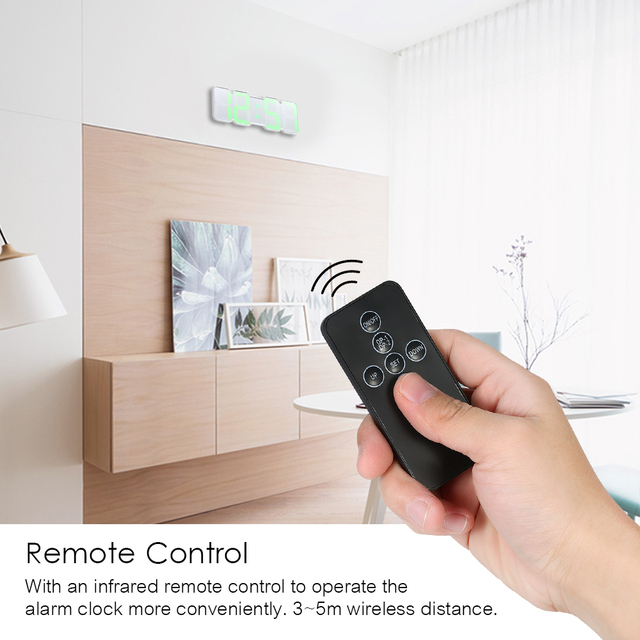 Remote Control: with an infrared remote control to operate the alarm clock more conveniently. 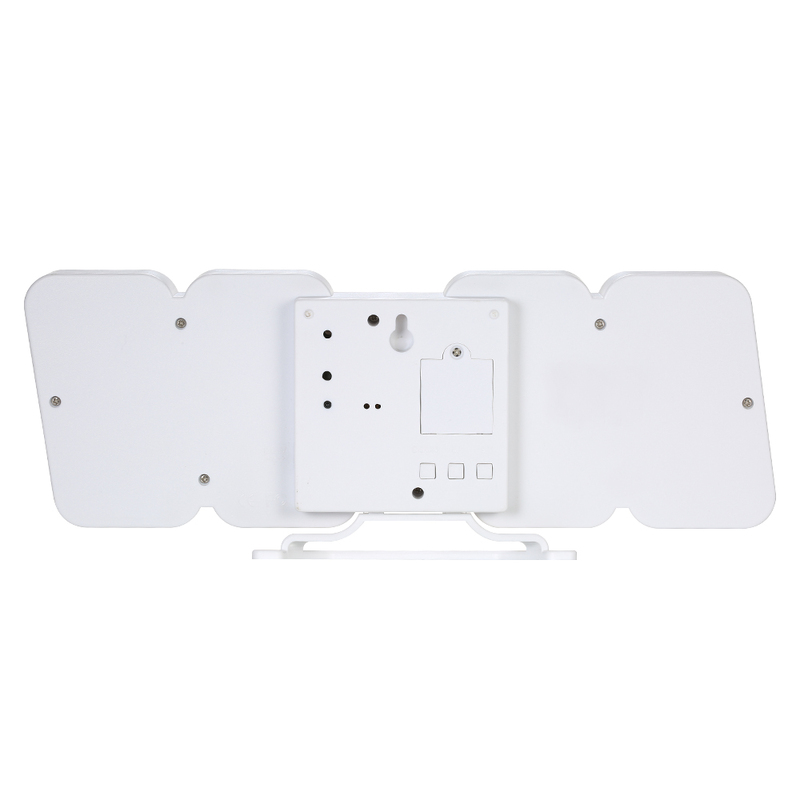 3~5m wireless distance. Sound Control: under this mode, the ambient sound over 60db will activate the LED display, and the display will automatically turn off after 16 seconds. Power Supply: powered by DC 5V, when this external power supply is cut off, the built-in button battery will automatically work to keep the settings(LED does not display). Easy Installation: the alarm clock is with a stand and has a hanging hole on rear, can be placed on desk directly or hung up on wall.